Just when you thought Freddie Mercury’s flame couldn’t burn just the teeniest bit brighter, the Queen frontman goes and becomes an asteroid. Asteroid 17473, to be exact, just some 500 million kilometers away. 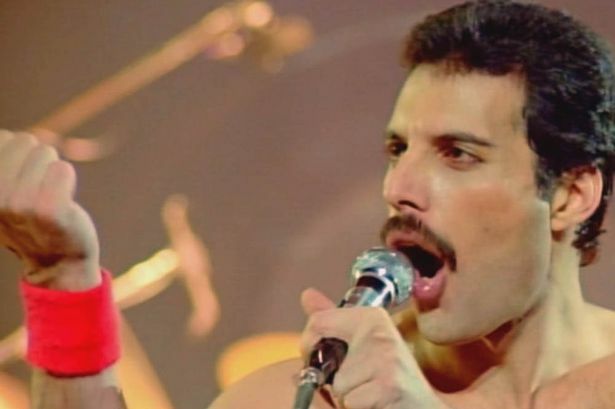 Yes, a ball of fiery rubble on the other side of Mars has been named in honor in honor of Mercury’s would-be 70th birthday by the International Astronomical Union, guitarist Brian May announced at the “Freddie for a Day” party in Switzerland on Sunday. After issuing the official designation, Parker spoke to Mercury’s “outstanding influence in the world,” wishing the late singer a happy birthday, along with his two-mile long asteroid. “Freddie Mercury sang, ‘I’m a shooting star leaping through the sky’ and now, that is even more true than ever before,” he said.